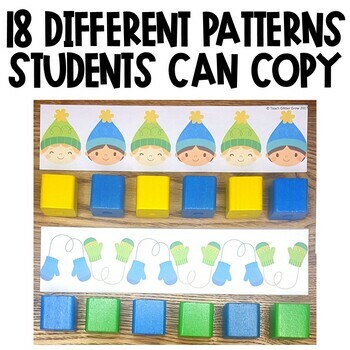 Looking for a hands-on way for students to practice identifying, copying, and extending patterns that you can use all winter long? 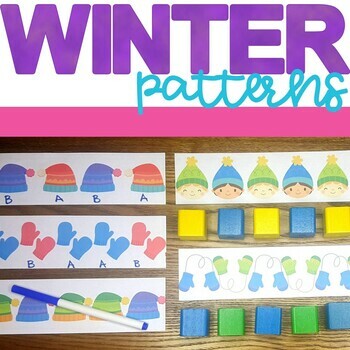 This activity is easily differentiated and has fun, colorful, winter themed shapes and can help students practice AB, AAB, and ABC patterns during centers, small group, whole group, or during morning work. 21 AB, AAB, and ABC patterns strips (6 of each) students can copy and label. 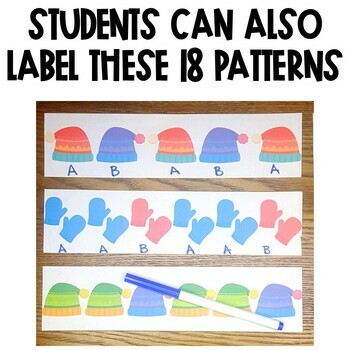 21 AB, AAB, and ABC patterns strips (6 of each) students can extend and label.